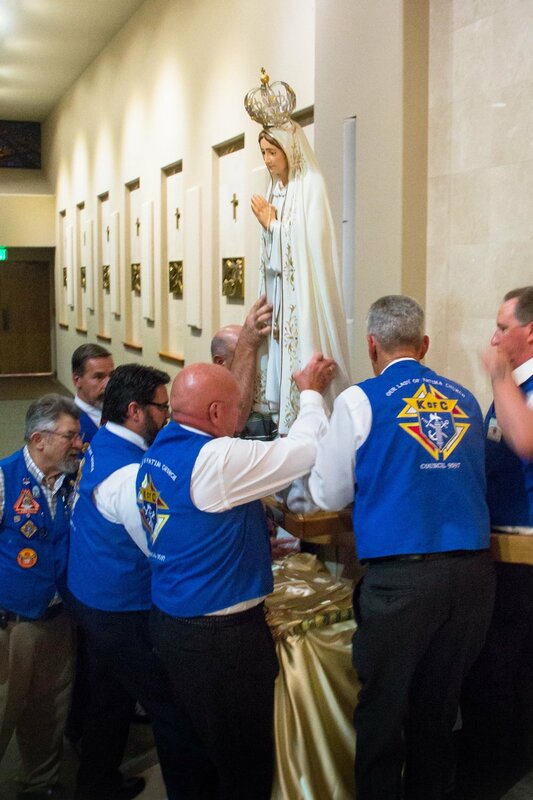 Thursday October 13th will be remembered as one of the great moments in the faith history of the people of Our Lady of Fatima as we held a celebratory Mass for the dedication of the new statue of Our Lady of Fatima. 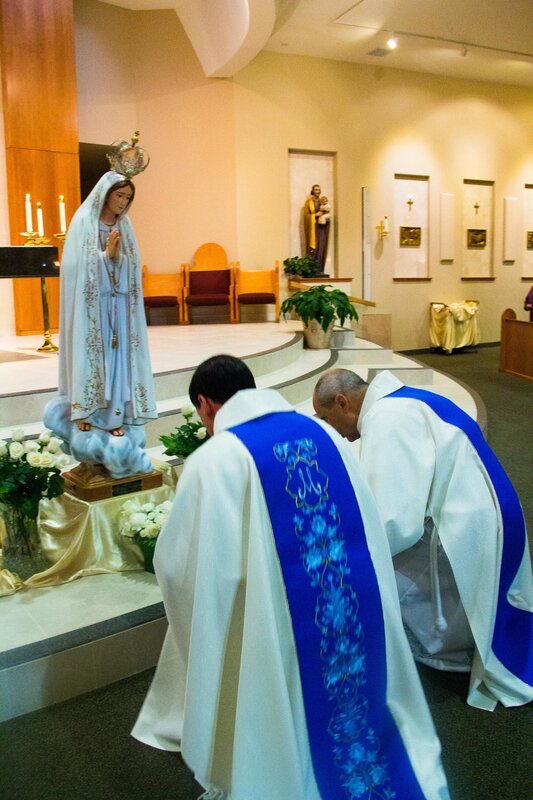 The statue came to Fatima through the generosity of the Black family of Cheyenne Wyoming, including her complete restoration. 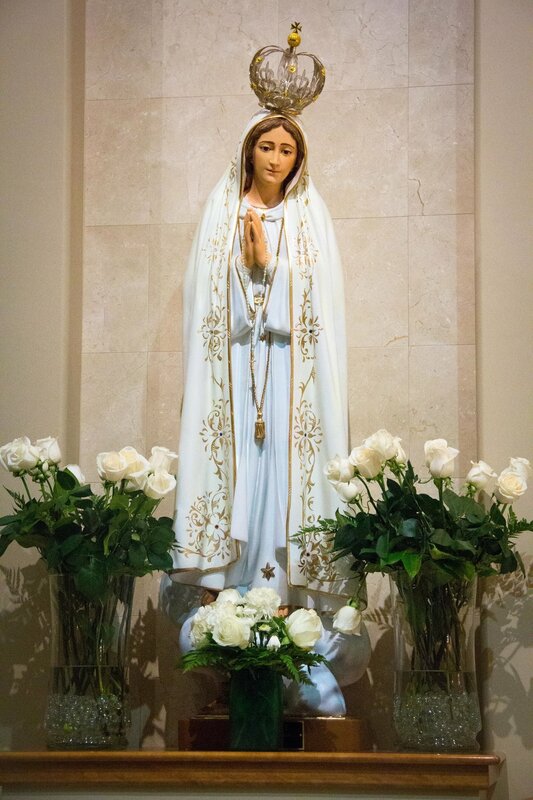 She is a beautiful reminder of the visit Our Lady made to the children of Fatima and is a wonderful addition to our sacred gathering space. 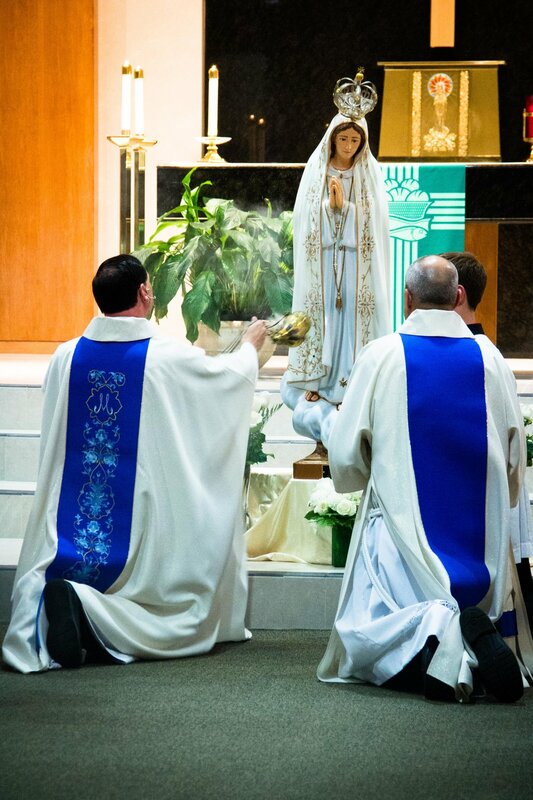 There were approximately 200 parishioners in attendance for the Mass, and the statue of Our Lady was processed with all the reverence and solemnity one would expect of such a precious article of our faith and parish life. 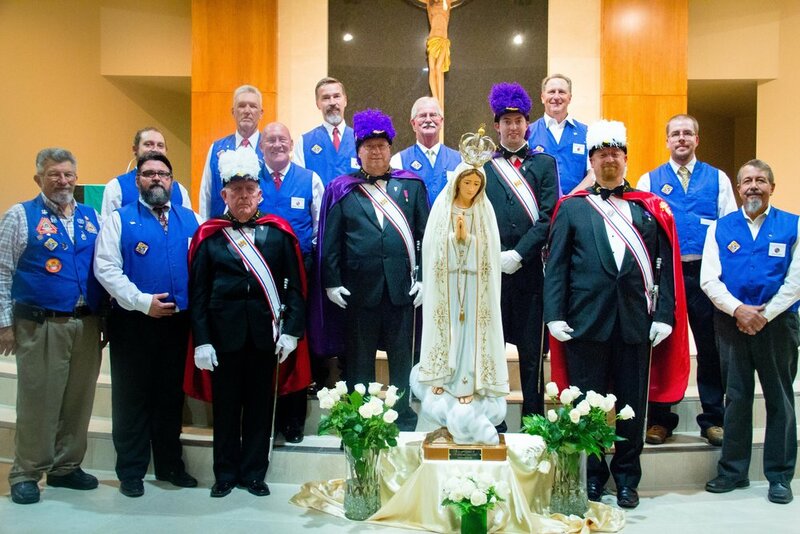 The statue was accompanied by an honor guard of 4th degree Knights of Columbus in full regalia as well as members of Knights of Council 9597. 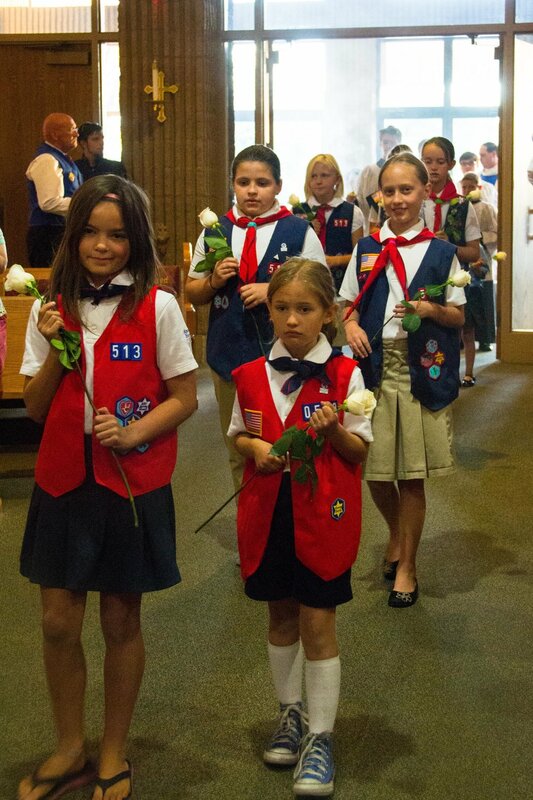 The American Heritage Girls accompanied the statue with roses to adorn the statue for the Mass. 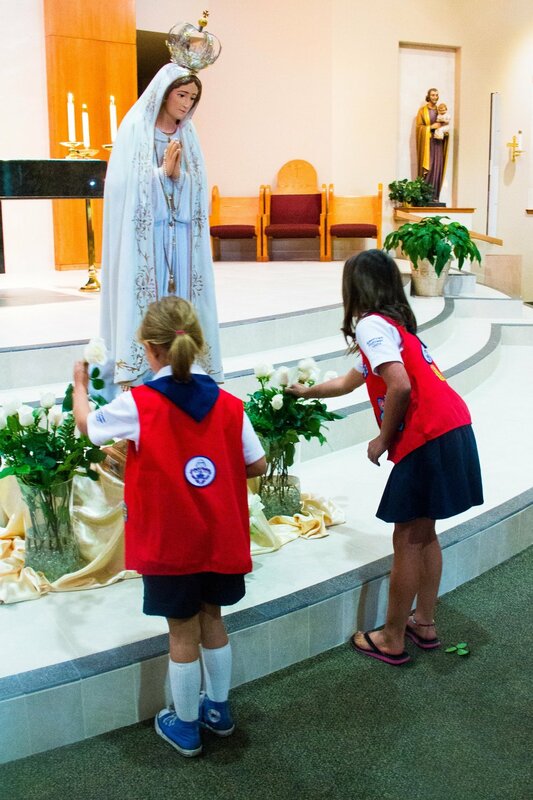 The home schooled children of Our Lady of Fatima distributed special holy cards as attendees entered the church. 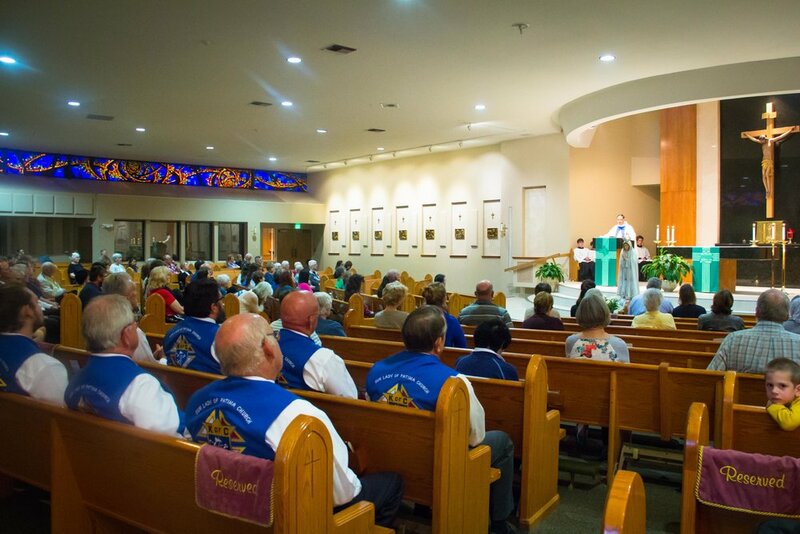 As befitting such a special occasion, the full choir provided their wonderful voices to honor the dedication event and they made it a beautiful, solemn and reverent celebration. 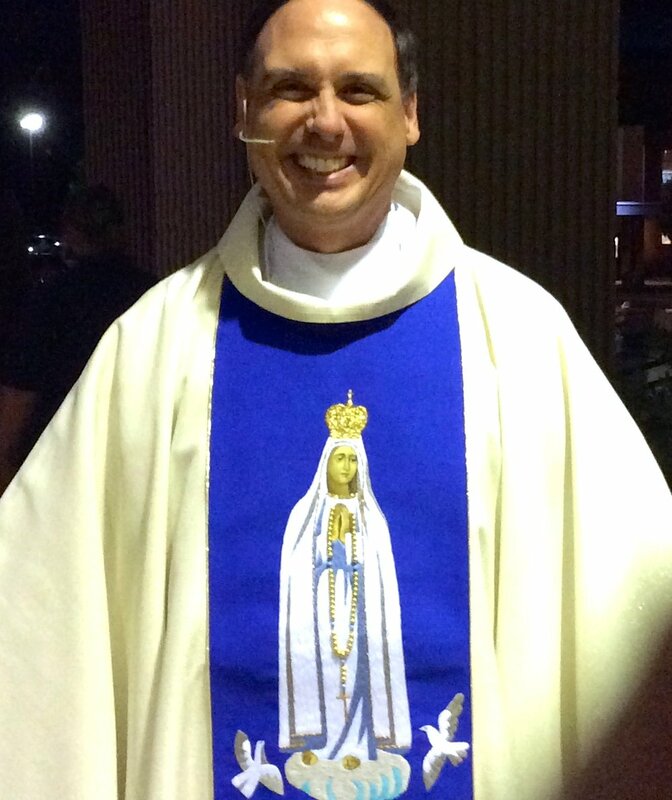 Mass was celebrated by Father Frank, assisted by Deacon Glenn, wearing the beautiful Fatima vestments that were gifted to the parish by the Altar & Rosary Society, the Knights Council 9597, and parishioner donations. 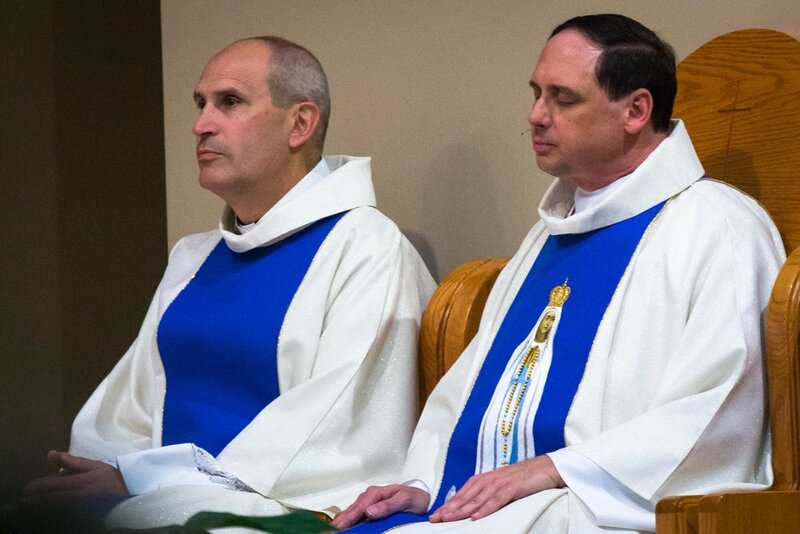 The high Mass, the music and the liturgy were fitting testament to the devotion we have to Our Lady as intercessor to her Son, our Lord and Savior Jesus Christ. 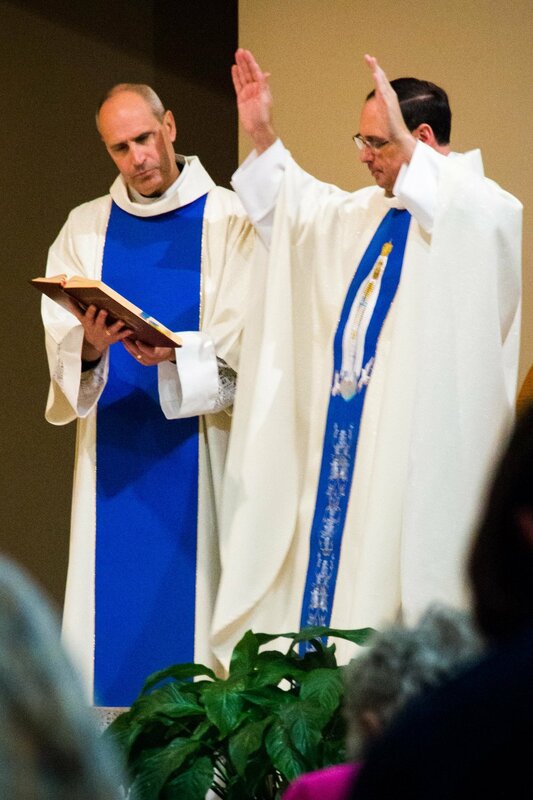 It was a truly wonderful and inspiring evening as we celebrated the Mass and dedication of the statue. She is now permanently displayed in her place of honor left of the altar. 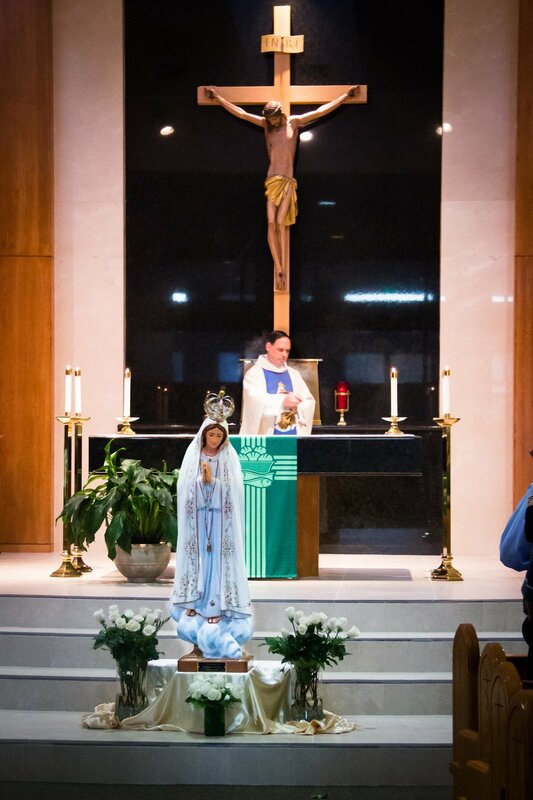 The Immaculate Heart of Mary statue will be moved to a different location, but a final decision has not yet been made. 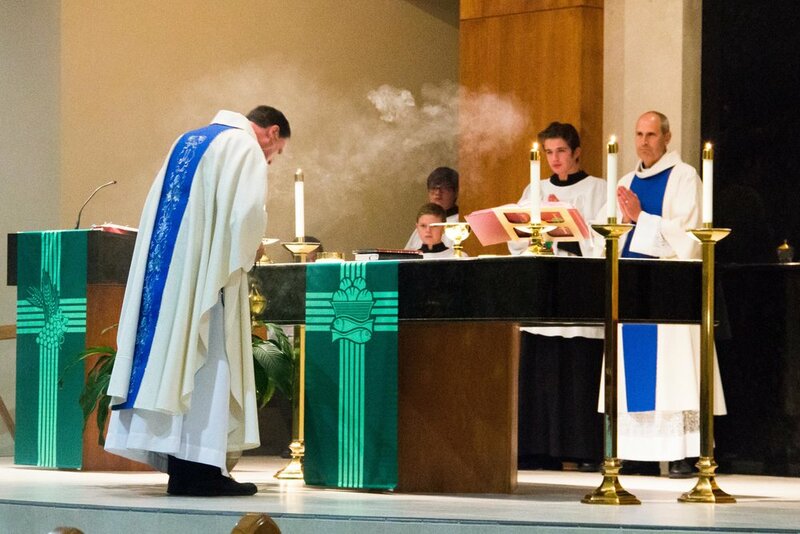 Thanks to everyone who helped make this such a memorable occasion. 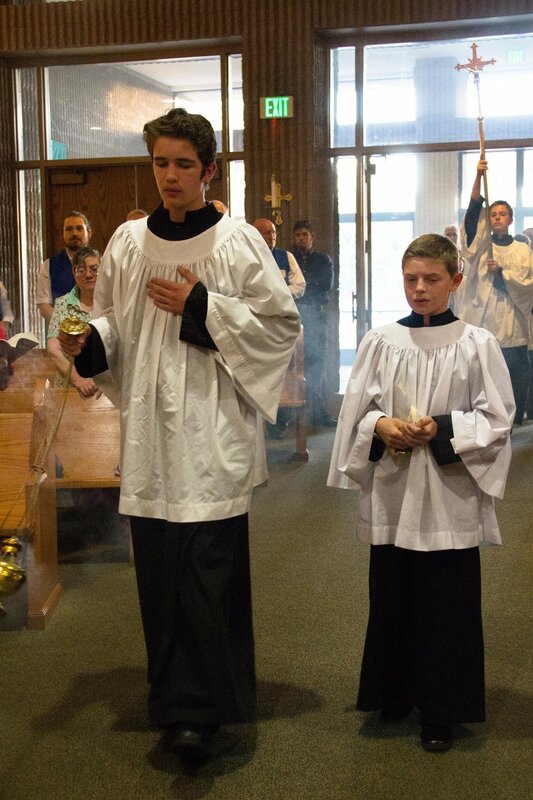 See photos at Centennial Photo Gallery.